“It’s the Same Old Song” – No, Really, It Is! 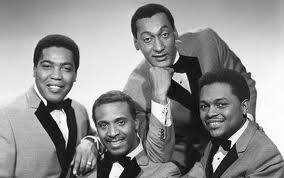 The Four Tops was a perfect example of a fantastic band. Not just a premier, Motown hit-machine, but a solid, long-lasting band; one that could only be separated by death. The Tops were together from 1953-1997. 1997 is when Lawrence Payton passed away. Today, only Duke Fakir remains. Sadly, both Obie and lead-singer Levi Stubbs have passed away in recent years. But, and I know this sounds awfully corny, the Four Tops created a legacy that transcends time and death. When I think of Motown, I think of the Four Tops, The Temptations and The Supremes. These bands jump to the forefront of my mind because of their sheer level of success. In Berry Gordy‘s tightly run Motown machine, if you could snap your fingers and harmonize, you could almost be guarenteed a hit. He, and his illustrious group of songwriters and background musicians, pretty much created inevitable success for so many acts. The Four Tops had more success than most. The reason for this can be boiled down to three reasons. Levi Stubbs’ vocal was distinctive, smooth, exciting, and a whole bunch of other adjectives. He certainly had one of the best lead vocals of all the Motown acts. Seriously, in my opinion, just as good as Diana Ross, David Ruffin, Smokey Robinson and Marvin Gaye. Perhaps, the two best voices to come out of Motown were a little young during the label’s glory days. That being Michael Jackson and Stevie Wonder. They would mature. Yeah, they had/have pretty amazing voices. Anyway, Levi Stubbs’ voice fit Motown R&B/Soul exceptionally well, and it worked even better with his bandmates. Number 2: the band was loose, fun, and performed with zany vigor. Number 3: The songs. Yeah, that’s it. And, keep in mind, “I Can’t Help Myself” is practically the same song as The Supremes’ “Where Did Our Love Go,” obviously one of the most inspirational Motown classics. The team worked around the clock creating the song, and by 3 p.m. the next day, the song was released and sent to radio stations, where it eventually hit #5 on the Hot 100 chart and #2 on the R&B chart. Yeah, it’s the same old song, but it is awesome.